Dr. J. W. Draper of New York took the first detailed photograph (daguerrotype) of the full Moon. The Wright Brothers applied for a patent on their "flying-machine invention" of the first successful airplane, after much hard work. M. Wolf discovered asteroid #659 Nestor. J. Palisa discovered asteroid #932 Hooveria. S. Arend discovered asteroids #1262 Sniadeckia, #1263 Varsavia and #1348 Michel; and E. Delporte discovered asteroids #1261 Legia, #1329 Eliane and #2236 Austrasia. Y. Vaisala discovered asteroid #1492 Oppolzer. L. Oterma discovered asteroid #1504 Lappeenranta. K. Reinmuth discovered asteroids #1850 Kohoutek and #1950 Wempe. John Cunningham set a world altitude record of 54,492 feet (18,133 m) in a modified de Havilland DH.100 Vampire F.1. E. L. Johnson discovered asteroid #2546. The USAF's Explorer (S-46) failed to reach Earth orbit. Explorer (S-46) was launched 23 March 1960 using a Juno 2 rocket. Its mission was to analyze electron and proton radiation energies in a highly elliptical orbit. Telemetry was lost shortly after the first stage burnout and one of the upper stages failed to fire. The spacecraft did not achieve orbit. 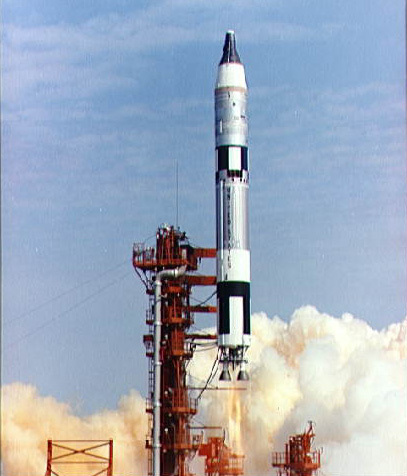 NASA launched Gemini 3 ("Molly Brown") on a Titan booseter, carrying Gus Grissom and John Young who performed the first piloted orbital maneuvers. 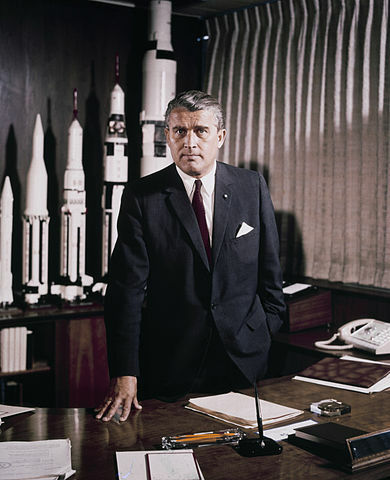 Grissom also became the first man to make a second space flight. Gemini 3 was the first crewed Earth orbiting spacecraft of the Gemini series. Launched 23 March 1965, it was piloted by astronauts Virgil "Gus" Grissom and John Young, with the primary objective of demonstrating the crewed qualifications of the Gemini spacecraft including evaluation of the two-man Gemini design, the worldwide tracking network, the orbit attitude and maneuver system (OAMS), the control of reentry flight path and landing point, spacecraft systems, and spacecraft recovery. Secondary objectives included evaluation of flight crew equipment and effects of low level launch vehicle oscillations (POGO) on the crew, performaning three experimants, and obtaining photographic coverage from orbit. Gemini 3 was launched from Complex 19, and inserted 5 minutes 54 seconds later into a 161.2 x 224.2 km (87 x 121 nautical mile) orbit with a period of 88.3 minutes. At the end of the first orbit, Grissom effected the first orbital maneuver, which lowered the orbit to a near-circular 158 x 169 kms. On the second orbit, Grissom altered the spacecraft inclination by 0.02 degrees. Near the end of the third orbit, at 4:21:23 ground elapsed time (GET), the perigee was lowered to 84 km to allow the orbit to decay naturally in case of retrorocket failure. Reentry began at the end of the third orbit and was manually controlled with retrofire at 4:33:23 GET (1:57:23 p.m. EST). At an altitude of 90 km about 7 kg of water were injected into the ionized plasma sheath resulting in improved communications during the blackout period. Splashdown occurred in the Atlantic in the vicinity of Grand Turk Island, at 22.43 N, 70.85 W, at 4:52:31 GET (2:16:31 p.m. EST). Due to less-than-expected spacecraft lift during reentry, the spacecraft landed 111 km short of the target point. Both astronauts became seasick, removed their suits, and left the spacecraft at about 3:00 p.m. EST. They were picked up by helicopter and taken to the recovery ship USS Intrepid at 3:28 p.m. EST, where they were found to be in good condition. The Gemini capsule was recovered at 5:03 p.m. EST. Two of the three experiments were performed successfully, the third, sea urchin egg growth in zero-G, was not completed due to a mechanical failure. The photography objective was only partially achieved because of an improper lens on the 16 mm camera. All other mission objectives were achieved. N. Chernykh discovered asteroids #2584 Turkmenia, #3094 Chukokkala, #3128 Obruchev and #3349. E. Bowell discovered asteroid #2710 Veverka; and Z. Vavrova discovered asteroids #2661 and #2766. US president Ronald Reagan introduced his Strategic Defense Initiative, commonly known as the "Star Wars" anti-missle plan. A number of peaceful missions were funded by SDI, including the Clementine probe that found evidence of water on the Moon. A. Gilmore and P. Kilmartin discovered asteroid #3563. 4581 Asclepius, a 300 meter (approx. 1000 foot) diameter Near-Earth asteroid, missed the Earth by only 0.00457 AU (684,000 km; 425,000 mi), passing through the volume of space where Earth had been six hours earlier.